Our experience of over three years of working for Himachal has taught us that lasting change is only possible when we look at the bigger picture. 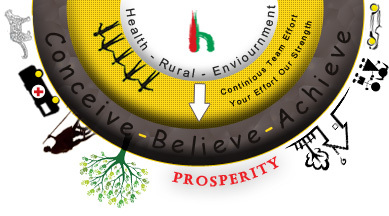 Social welfare and environmental betterment. To carry out all activities on welfare basis without any discrimination on the basis of caste, creed or colour. 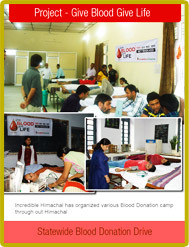 Incredible Himachal- An NGO” is founded by a team of young members who have a dream for prosperous Himachal. 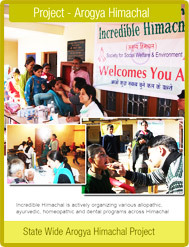 To fulfill this dream they registered an NGO with the name of “Incredible Himachal” (Society for Social Welfare & Environment). 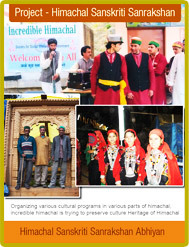 The “Incredible Himachal” an NGO is registered on dated 18th October 2010 under H.P Societies Registration Act 2006.